The progenitor of all crowd paintings to follow. 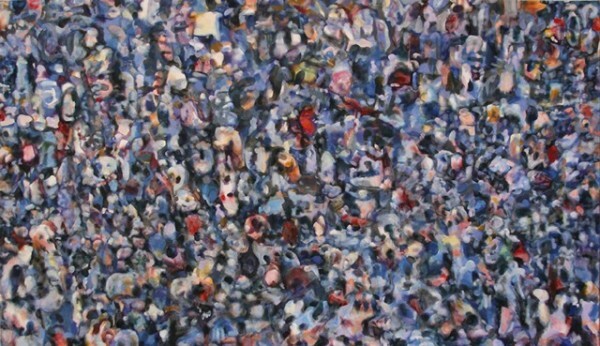 This work synthesizes my ideas of a human mass becoming abstract as it evolves in a changing environment. All contents of this site are ©James William Lambert 2016 All rights reserved.